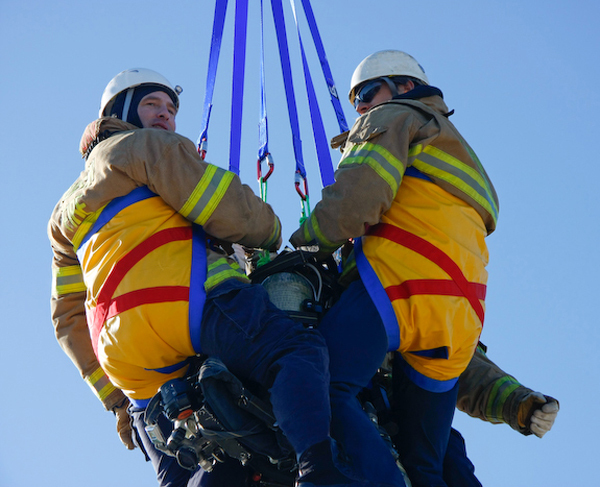 The CMC Short Haul Spider Rig offers the most innovative solution available today for mass subject helicopter evacuation. 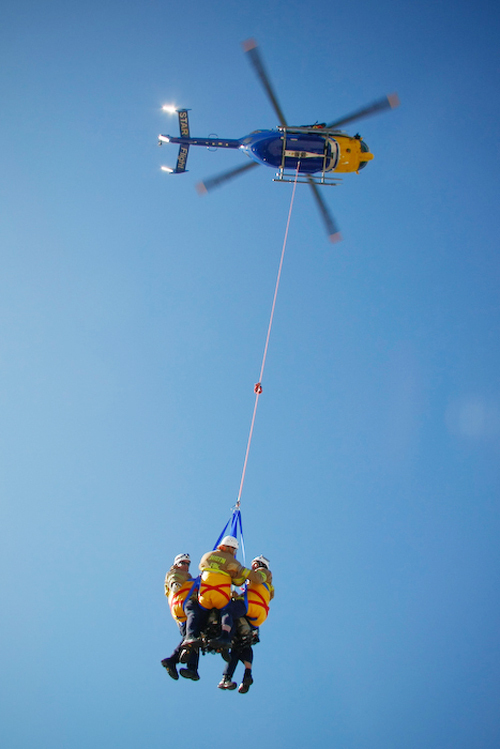 This packable lightweight (4.5 lb) solution offers quick evacuation from rooftops or other areas where rescuers or victims could remain trapped without means of egress, by using a modified helicopter short haul system. 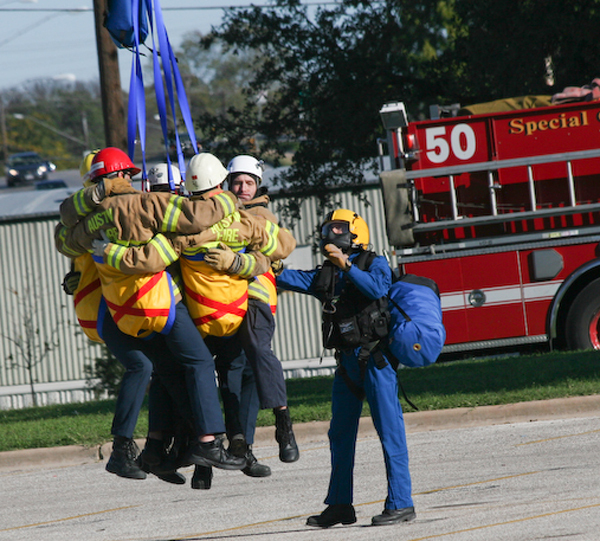 Traditional short haul methods only allow for safe and efficient evacuation of one or two subjects per sortie, while the Spider Rig facilitates up to six subjects individually secured to the Spider Rig by means of a harness or other hasty rescue adjunct (not included). The assembly allows for a single “bombproof” connection point for all 6 legs. Each leg incorporates a captive eye with a 2-stage auto-locking carabiner attached at the end for secure connections. Helicopter not included.